The Latest Addition to Our Fleet - Now Open for Booking! Nestled up against Slovenia and at the intersection of Latin, Slavic and Germanic cultures, Trieste’s historic grandeur still captivates, from the Roman amphitheater to the city core’s array of noble buildings. Pula may be a relatively undiscovered gem by most modern-day travelers, but with its protected harbor and strategic location on the southern tip of Croatia’s Istrian Peninsula, it’s proven a popular hit with invaders. Beautiful Alghero, with its mix of Italian and Catalan influences, has just the right portions of medieval history, fine architecture and pasta. Add a few stunning beaches and you have one of Sardinia’s most treasured ports. Your gateway between the vast Atacama Desert and the pristine South Pacific coast. Explore scenic salt flats and dramatic ocean-carved shores. Get the royal treatment in The City of Kings. Its epic sights, enchanting culture, and rich history make Lima a true crown jewel of Latin America. Ready to really live it up on New Year’s Eve? We’re ringing in the new year in Rio—the home of Carnaval. But the party doesn’t stop there, keep the celebration going at colorful Copacabana Beach. 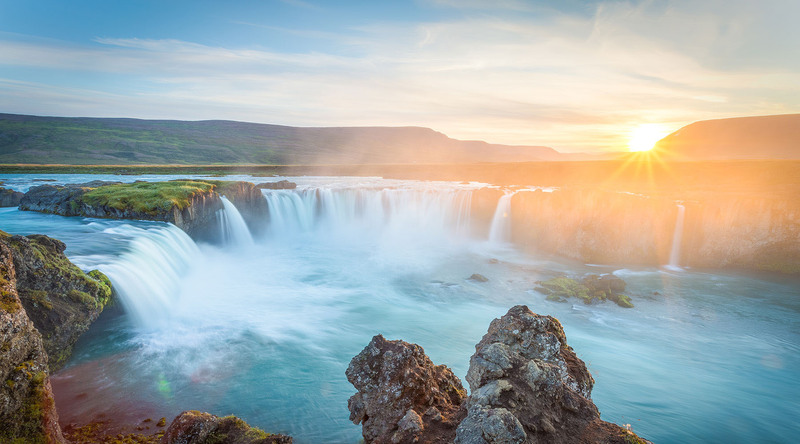 Picturesque, peaceful, and peculiar, this charming enclave on Iceland’s eastern coast is nestled within a deep fjord, and is your gateway to the crashing, crescent-shaped Godafoss waterfall. Modern architecture meets colonial charm in this sunny cosmopolitan city. Tucked near the foot of the Atlas Mountains, this resort destination is brimming with boulevards and beaches. Rolling hills, sheltered coves, and sandy beaches make Spetses a beloved retreat for the elite of Athens. This tranquil island will be all Greek to you—and that’s a good thing. Experience five centuries of history as you dine with your host, Maru de Aliaga, at the oldest continuously inhabited house in all of the Americas. Visit a local market, sip some pisco sours, and prepare your own ceviche and other traditional Peruvian dishes with Chef Penelope Alzamora. Embrace the day with sun salutations, harmonizing energy, and positive vibes at this open-air yoga class on Athenas Beach in Paracas National Reserve. Go on a stunning hike across a lava field, climb aboard an open elevator, and descend 400 feet into the colossal, kaleidoscopic heart of a volcano. Spectacular valleys and mountains, lava labyrinths, ancient craters and canyons, thermal hot springs (complete with spa treatments), and the “Waterfall of the Gods” await you on this incredible excursion. Go on an epic journey between two glaciers. We’ll take you through highland mountains, restorative hot springs, lava castles, and breathtaking waterfalls—with many other extraordinary stops along the way. Travel back in time to ancient Greece with a performance (in English) of Sophocles’, Antigone, set against a magical backdrop of medieval ramparts and towers. Come fly with us to Moon Valley and the world’s driest desert. Stay two nights at a five-star lodge and luxuriate under a blanket of infinite stars. On August 28, 2018 we held a special naming ceremony to bestow the newest member of the Azamara Club Cruises’® family with her name—Azamara Pursuit. Featuring a special message from our godmothers and remarks from Chairman Richard Fain, President & CEO Larry Pimentel, and the senior officers of the Azamara Pursuit, we live-streamed the event for the world to see. Missed it? That’s okay—we saved you a front row seat. "I first joined this ship back in 2003, and fell in love with it immediately. Can't wait to get back onboard her and see her introduced to the Azamara Fleet!" "I’m very privileged to be part of such a team and Larry Pimentel's vision. Our 3rd ship, Azamara Pursuit, is the accomplishment of all crew, staff, officers, and results of their hard work." "Now our family is growing, I feel like a proud uncle helping a new niece to grow & develop as I take out the beautiful Pursuit as Cruise Director." Seven restaurants, cafes and lounges, a refreshing pool, sun-drenched decks, a revitalizing spa…the list goes on. With so many areas to explore onboard Azamara Pursuit, it’s a good thing we have deck plans. One of the best ways to experience the jaw-dropping sights of Peru, Morocco, and Rio’s New Year’s Eve fireworks is from your private veranda. It’s just one of the many benefits exclusive to your wonderfully spacious suite aboard Azamara Pursuit.